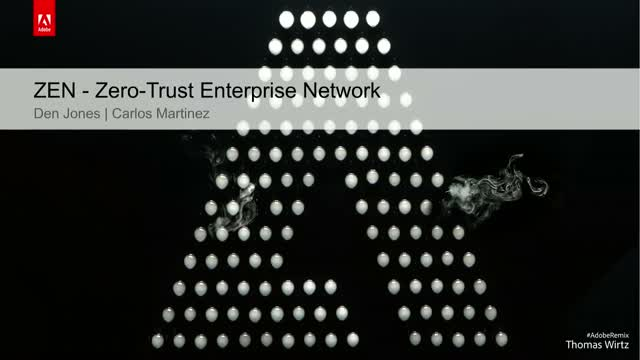 Project ZEN at Adobe is an initiative based upon principles found in zero-trust frameworks. Since there is no “off-the-shelf” solution to fully deliver on these principles today, ZEN is an investment in pioneering technology and policies to make the path to a zero-trust network more efficient and attainable. In this session you will: (a) learn about the principles behind Adobe ZEN, (b) understand the Adobe experience so you can start your own journey by leveraging existing security technology investments and targeted automation technologies, and (c) explore common issues you might encounter along the journey, with guidance on overcoming those issues.